3/8" ID x 1/2" OD x 1/16" Wall Versilon™ FEP-F Tubing | U.S. Plastic Corp. 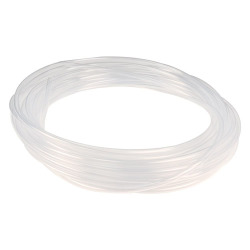 This tubing is not affected by nearly all solvents, acids and fuels, making it ideal in the automotive, food and beverage, printing and laboratory industries.